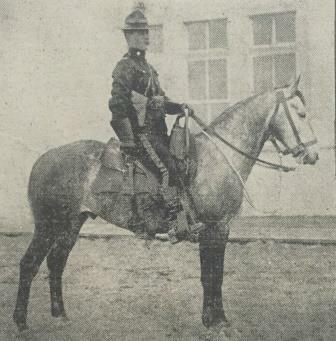 Saturday 30th October 1915: Before the War Corporal Reginald Brown was following an unusual career for a man from Maulden, as a member of the Royal North-West Mounted Police in Canada. When the War began he returned home to England and rejoined his former regiment, the Grenadier Guards. Earlier this year he was seriously wounded at Laventie; after a lengthy convalescence in hospital he returned to the Front. Unfortunately news has not reached Maulden that he is in hospital at Rouen, having been wounded for a second time. It is understood that he is making a good recovery from a shrapnel wound over the right eye. His younger brother, Sam, is also on active service with the Army Service Corps. 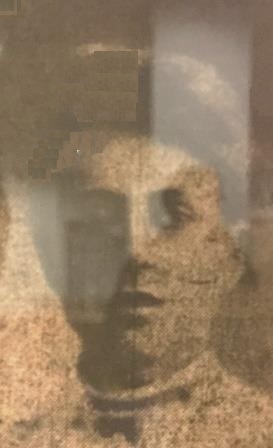 Friday 29th October 1915: Lizzie Smith, a 56 year old woman of no fixed address who gives her occupation as “laundress”, has been sent to gaol for seven days after being found guilty at Linslade Police Court of being on enclosed premises for an unlawful purpose. 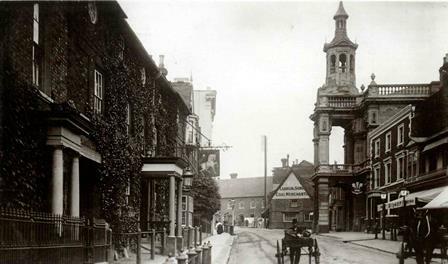 Bombadier John Evans of the Royal Field Artillery told the court that at 7.15 that morning he went with two others to the orderly room at their quarters in Church Road, Linslade and found the woman in a room which is in use as an office. She seemed agitated and could not explain why she was there. When asked what her business was she said she was looking for the police station. She gave him the impression that she had been into another room which was used by the officers. He took her outside and directed her to the police station. She went in that direction, but after turning the corner stopped and ran up Church Road again as if heading for the railway station. He shouted to her to stop but she continued running. He ran after her and told her she would be taken to the police station. Inspector Walker said he had questioned the prisoner and she admitted going into different rooms at the military quarters. She refused to tell him what she was doing, and would not tell him where she slept during the night. He had received a complaint that she had had to be turned out of the porch of a house in Church Road at 10.30 last night. Smith told the magistrates that she went to the quarters because she wanted to get to the police station in order to make some inquiries. She saw a notice stating “Knock and please enter”, so as nobody came she went in and sat on a chair. 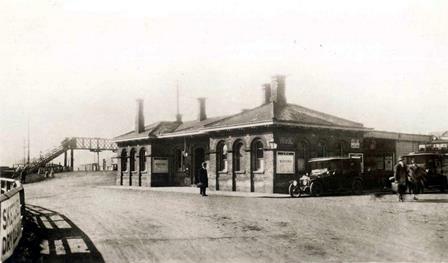 When told where the police station was she decided that as she was so near to London she would make inquiries there, so headed for the railway station. When asked by the Chairman of the Bench where she slept last night Smith said “I would rather not give the person’s name”. 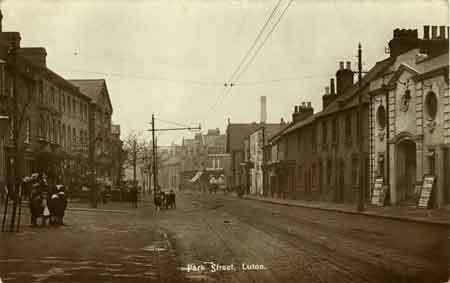 Friday 28th October 1915: Luton Town Council has successfully applied for a Lighting Order and this came into effect last Saturday. The kerbs at corners leading off the main road have been whitened, as have parts of lamp posts and tramway poles to make them more visible to pedestrians. The Rural Dean has given notice to the Anglican Churches that evensong should now start at 5.30 instead of 6.30 and the Free Church Council has also agreed to bring evening services forward to an earlier time. The railway companies are expected to close collections at an earlier hour so that their warehouses can be closed and the lights extinguished. On Tuesday evening the Council discussed a request by large manufacturers for a time limit to the Order. If lighting up could be allowed until 6pm they could close from 1 - 2pm for dinner, drop the tea hour, and close for the day at six. However, the Mayor believed that the Council did not have any power to vary the Order, which restricted lighting from one hour after sunset until one hour before sunrise. In any case, to allow lighting until six would be very dangerous as it would soon be dark at four o’clock, or even earlier on foggy days, and the enemy would then have two or three hours to strike while the town was lit. Not everyone has been complying with the Order and steps will have to be taken to compel those who have not fallen into line to do so. Jewellers were said to be setting a particularly bad example, and a number of shops in Park Street were infringing the Order “in the most shameful way”. Numerous complaints had been made to the Town Clerk about one factory, which was “nothing more nor less than a lighthouse beacon to any aircraft that liked to approach Luton”. On Monday night there was one shop in Chapel Street where no attempt had been made to obscure the lights, and while the Wesleyan Chapel was dark the Wesleyan School had its lights full on with no blinds or curtains drawn. The door was wide open allowing light to go right across the street. Wednesday 27th October 1915: In August our military colleague heard from Private E.J. Albon of Stotfold who is serving as a signaller with the 1/5th Bedfords at Gallipoli. 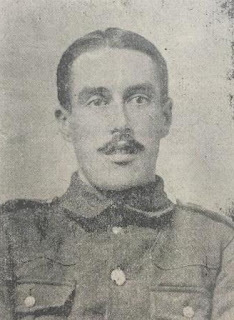 He has now written to his parents with the news that he is out of the trenches for an eight day rest, although he complains that “it is practically the same as being in the trenches both for work and rifle and shell fire.” Fortunately since the action in August he has been moved to another part of the line where the casualties are much fewer and they are “just losing a man or two when we are in the trenches, but that’s caused mostly by rifle fire”. Like the East Anglian Royal Engineers the Bedfords are becoming creative in their use of rations. Private Albon says “We are getting quite expert cooks now. We make an oven of a biscuit tin buried in the bank and turn out some decent tarts using powdered biscuits for flour and when we don’t get bread, which is very often, we have rice puddings and anything like that, so long as we can manage without our inevitable biscuits and bully”. He hopes that when he returns to the trenches he will be fortunate as he was the last time, when he was posted to the telephone station attached to the Quartermaster’s Stores about a mile from the firing line. As a signaller his worst job is dispatch carrying, but as that duty lasts only for a 12 hour stretch “I don’t mind doing my bit any time”. The Hospital was opened on January 13th 1915 and has been working without interruption up to the present time. The daily average attendance of members is 7, who are on duty two at a time from 7.30 a.m. to 9.30 p.m. The number of patients passed through this Hospital is 195 – the average number of days that patients were retained in the Hospital was 10 days. The Hospital has received a Government Grant of 3/- per day per occupied bed since March 1st and also a Mobilization Grant of £10.0.0 from the British Red Cross Society. One member has undertaken Special Service at Home, and has been nursing at The Nursing Home, 3 Mandeville Place, Manchester Square West for three months. No members of this Detachment are serving abroad and at present none have volunteered for Special Service, as the Detachment is a small one, and has only been started a year and a half. 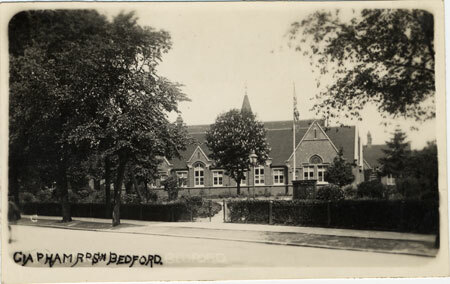 A Working Party was formed last winter, to which most of the members belonged, and several large parcels of garments for the sick and wounded were sent to the Depot at Bedford. The members have also done a great deal of needlework for our own hospital. No Members of the Detachment are working abroad and none have attended at the County Hospital. Night duty was undertaken by the Members from January until May, but as only slight cases of sickness are admitted, it was not found necessary to continue this, and an orderly is now on duty at night. There were six beds in this Hospital when it was opened, but the number was increased to nine after few weeks, and arrangements are now being made to add five more beds in case they are required for wounded during the winter. Monday 25th October 1915: The Luton News continues to publish appeals for footballs and football outfits to be sent to the Front. 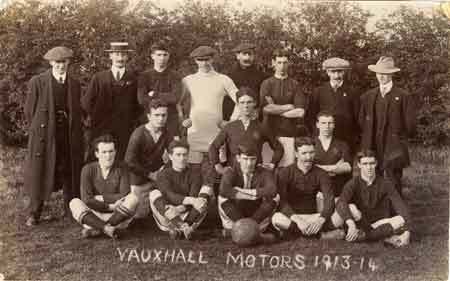 Signaller Burley of the Royal Field Artillery asks if “any person in my native town would be so kind as to help the lads in my Battery to pass many a weary hour away, by supplying us with a football", and a group of Luton lads serving with C Squadron of the Beds Yeomanry hope that someone may have a football to spare. J. Hall, the former secretary of Luton Albion F.C. and now with the 3/1st Bedfordshires at Reed Hall Camp, Colchester, appeals for football boots, knickers, and stockings for the Luton boys stationed there who are running a football team and finding that “playing in ordinary attire is not at all comfortable”. “At this grave moment in the struggle between my people and a highly organised enemy who has transgressed the Laws of Nations and changed the ordinance that binds civilised Europe together, I appeal to you. I rejoice in my Empire’s effort, and I feel pride in the voluntary response from my subjects all over the world who have sacrificed home, fortune, and life itself, in order that another may not inherit the free Empire which their ancestors and mine have built. I ask you to make good these sacrifices. The end is not in sight. More men and yet more are wanted to keep my armies in the field, and through them to secure Victory and enduring Peace. In ancient days the darkest moment has ever produced in men of our race the sternest resolve. I ask you, men of all classes, to come forward voluntarily and take your share in the fight. Saturday 23rd October 1915: George Thomas Anderson, a soldier of the 2nd Battalion of the Bedfordshire Regiment has been charged at Luton Borough Court with attempting to kill himself by stabbing himself with a knife. His mother-in-law, Sarah Holland of 20, Langley Road, said that yesterday evening Anderson had supper at about 9.30 p.m. She went into the back room. When she returned to the kitchen she saw Anderson lying on the floor. She bathed the wound and sent for the doctor. When Dr. Lewis arrived at Langley Road he found Anderson in bed. He told the doctor “I don’t know why I did it. God must have guided my hand. I wish I had done myself in”. Doctor Lewis informed the police and gave them a knife smeared with blood. He was taken to the police station ambulance. The wound was in his chest, and it appears his life was saved by the knife catching on a rib. 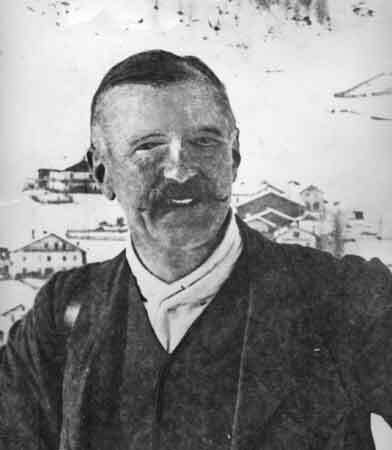 Anderson had been serving at the Front where he had been wounded. He was recently released from hospital and came to Luton for a few days’ leave, prior to re-joining his regiment next Monday. He is believed to have been drinking heavily and it is believed drink was the cause of his actions. He told the Bench “If you look over this I promise you faithfully not to take drink again. I have been hit with shrapnel in the ear, and I had three pints yesterday. If you let me off this time I promise I will not touch a drop of beer as long as I live. It has learnt me a lesson. I don’t know what I was doing. I seemed to have lost all feeling.” His wife said she had never had trouble of this sort before and believed her husband when he promised not to touch drink again. He was advised to see the Court Missionary and sign the pledge, was bound over in the sum of £5 and allowed to go. 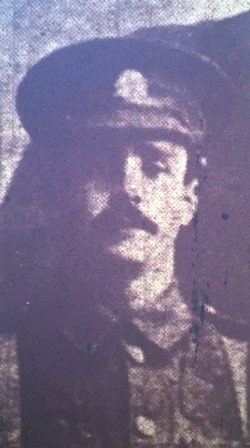 Thursday 21st October 1915: Mr. Thomas Henry Few, the stationmaster at the Great Northern Railway Station at Bute Street in Luton, has received news that his youngest son, Private Charles Whelpton Few of the 1st Eastern Mounted Brigade Field Ambulance of the Royal Army Medical Corps, has died of dysentery while on a ship in the Mediterranean. The “Luton Medicals” were the last of the first-line Bedfordshire Territorial Units to leave England, setting off for service abroad only last month. 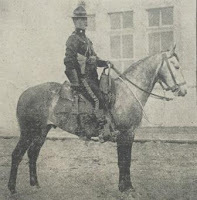 All four of Mr. Few’s sons joined the Army at the beginning of the war, with three joining the same unit and the fourth the Bedfordshire Yeomanry. Charles was an old boy of Christ Church School in Luton. From the time he left school until he joined the RAMC he worked at Messrs Welch and Sons Ltd. He is buried at East Mudros Military Cemetery on the Greek island of Lemnos. Wednesday 20th October 1915: Luton Town Council have taken the decision to apply to the Home Office for an order under the Defence of the Realm Regulations for controlling public and private lighting. Efforts have been made for some time to reduce lighting in the town voluntarily but these have proved ineffective. When asked by the police to restrict their lighting the town centre businesses did so, but turned them back on the next night or even soon after the police left. It was felt that some shopkeepers would be glad to have a compulsory order which would make everybody fall into line. Factories and even places of worship were also to blame, with the Non-Conformist chapels in Chapel Street and Castle Street both having big outside lamps in use. The lighting order will regulate shop, factory, railway, street, and private house lights. All street lighting would be prohibited and interior lighting must be screened to that no bright light can be seen from outside. The only outside lighting permitted would be that deemed necessary for public safety by the police and military authorities. Breach of the order when it is introduced will be punishable by a fine of up to £100 or imprisonment for a maximum of six months. The intention is that the order will be rigidly enforced and offenders cannot expect to escape with nominal fines. Tuesday 19th October 1915: For the second day running a Bedfordshire man has been on trial at the Assizes for the murder of his wife. Yesterday Henry Charles Martin was convicted on the lesser charge of manslaughter and sentenced to twelve months in gaol. Today, after a six hour trial, William Benjamin Reeve of Leighton Buzzard has been convicted of the wilful murder of his wife and has been sentenced to death. The evidence was almost identical to that given at the Police Court hearing and the inquest into Harriet Reeve's death, with the addition of Reeve’s own account of events. Reeve was a man not in very regular employment who was in the habit of drinking rather too much. On the 5th July he had visited several public houses with a man named Thomas Major. When he returned home the worse for drink his wife was anxious to get rid of the children who were in the house and gave them money to go to the Picture Palace. Evidence was given by Private Jack Toms of the Bedfordshire Regiment, the husband of Reeve’s niece Annie. When asked whether Reeve suffered from ill-health which prevented him working Toms replied “No, I think it was laziness”. Mrs. Reeve, however, was an “industrious and sober” woman who had worked as a carpet sewer for Messrs. Aveline and Phillips. When Reeve came to Toms’ house on July 5th he heard him say “I’m going to do my old girl in tonight”, giving as his reason that she never gave him any money. When begged not to carry out this threat Reeve said his loved “his old girl”. Toms had not attached much importance to the conversation, assuming it to be the silly remarks of a drunken man. Reeve told the court that he was a drover and labourer, who had been married for over twenty years and had lived on good terms with his wife. He was not aware that he had ever threatened his wife’s life. He admitted that on the 5th July he had had a good deal to drink. Asked about his gun he said that he had not used it for months, but it had been left loaded. The gun was peculiar in that when both barrels were loaded if the right hand barrel was fired the left hand one was also likely to go off. He could not remember any of the events of the evening his wife was killed, but he was certain he had no intention of injuring her – she was “the best friend I had got”. He did not remember how the gun and razor came to be found just outside the door, and did not have any memory of cutting his own throat with the razor. He had no recollection of telling Jack Toms he intended to “do his old girl in”; he rarely quarrelled with his wife, and had no grievance against her for not giving him money. He also had no memory of opening the drawer which contained the shot and taking out the shot flasks. He believed the gun must have gone off by accident. In the closing speeches the prosecution said it was extremely improbably the gun could have gone off accidentally and caused Harriet Reeve such injuries. However drunk he was Reeve had clearly checked before he went home that his wife was there, and he was clearly conscious enough to take the gun from its usual place. Why else would he have cut his own throat if he was not aware he had committed a crime? He had run out of money for more drink and had grown in resentment and hostility to his wife for refusing to give him more as the day went on. The defence pointed out that there were certain discrepancies in the evidence of Jack Toms which suggested it was unreliable. 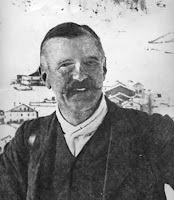 Flemming, the friend of Reeve’s son, claimed to have heard Reeve threaten his wife yet young Reeve who actually lived in the house said he had never heard his father threaten his mother. There was nothing to suggest that Mrs. Reeve felt herself threatened as she had stayed seated in her chair. The judge said that there was no evidence that Reeve was insane and drunkenness was no excuse for crime. If the jury believed Reeve’s story that the death was an accident they should find him not guilty; if they believed he did not know what he was doing, he should be found guilty but insane; the only other possible verdict was guilty of wilful murder. The jury took only twelve minutes to consider their decision before passing a unanimous verdict that he was indeed guilty of wilful murder. After spending much of the trial slumped low in his seat with his head in his hands Reeve stood unmoved while the verdict was read out. He did not reply when asked if he had anything to say as to why judgment should not be passed on him, and lowered his head while the sentence was pronounced. He swayed when the judge spoke the closing words “And may the Lord have mercy on your soul” and stood as though in a daze until the gaolers escorted him to the cells. As he left he exchanged a brief, inaudible remark with his mother who was seated in the public gallery. Monday 18th October 1915: Gunner Henry Charles Martin of the Royal Garrison Artillery appeared at the Bedfordshire Assizes today on a charge of murdering his wife at 6 Queen Square, Luton, on October 4th. The jury was told there was no evidence of any quarrel over the weekend before Mrs. Amy Martin’s death. Their son, Charles William Martin, aged 13, said that on the Sunday they were all quite happy, although there had previously been trouble about another man. 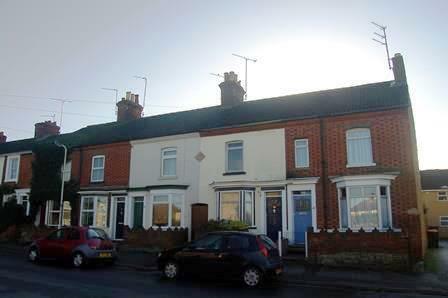 At the Whitsun bank holiday the family had visited his grandfather in Luton. His father returned home the next day but the rest of them stayed for a week. During that time he saw his mother and a soldier named Newbury kissing. When they returned to Barking there was trouble between his parents and soon after his father joined the Army. 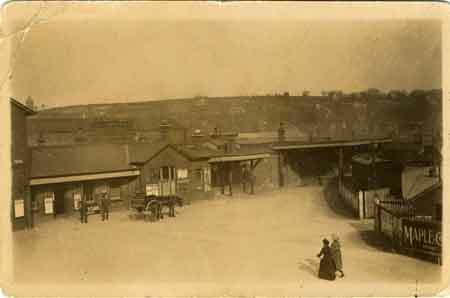 The rest of them returned to Luton where his mother continued to see Newbury. 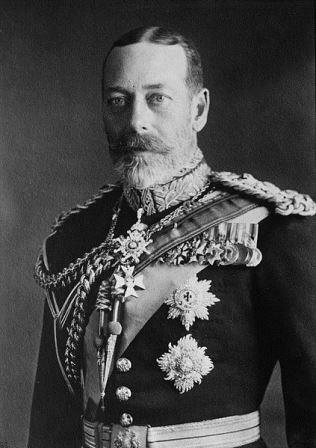 When their father visited them his mother would send himself or his brother Albert to Newbury with a letter telling him to keep away. He had heard his mother tell his father she intended to go to Australia with Newbury. Martin told the court that he had tried to induce is wife to give up Newbury, but without success. She had moved to Queen Square from Blythe place without telling him. He threated to go the police about the use to which she was putting the house; she had burst out crying and promised to give up Newbury if Martin would return her wedding ring which she had thrown at him before she left Barking to return to Luton. A fortnight before her death she had told him she intended to go to Australia with Newbury, taking their little daughter Gracie with her. When he reprimanded her she hit him on the head with a poker. She had taken their life savings but wrote to him pleading poverty, although she was working and earning good money. When he struck her on the fateful morning he meant to hit her with his fist and forgot he had the knife in his hand. If she would only have given Newbury up he was willing to forgive her. Medical evidence was given that the stab wound to Mrs. Martin’s neck would have taken very little force. The knife cut the jugular vein as it came out, a vein which lay almost on the surface. There was no evidence of a struggle in the bedroom and a determined blow with the knife would have caused a much more extensive injury. Gunner Martin admitted causing the wound but said he had been driven to it. 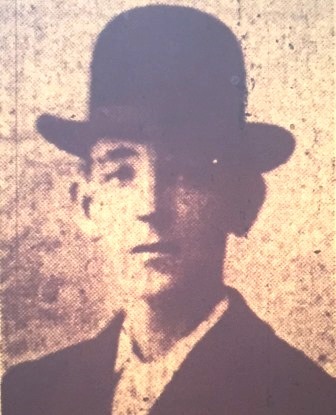 Police Inspector Janes, who had known Martin for many years, stated that the man was reputed to be a quiet, hard-working man and a respectable citizen. His wife was “a gay woman and fond of going about”. The jury were told that the real issue was whether Martin was guilty of murder or manslaughter. The prosecution said that “provocation would be pleaded, but there was no provoking the blow struck, and provocation by word of mouth was not adequate under the circumstances to reduce the charge to one of manslaughter … It was a sordid story, but the jury must not let that turn their judgment from their duty, and under the circumstances, having regard to the absence of a struggle, and the deliberate going round the bed to strike the woman, murder was the only verdict which could be returned. The defence submitted that “at the time he committed the act he was beside himself, and tortured beyond endurance, and that under the circumstances the jury would be justified in returning a verdict that he was guilty of manslaughter only”. It was only by chance that the wound inflicted proved fatal and Martin had no intention to kill his wife. The judge pointed out a number of things which told in favour of the prisoner. After retiring for about ten minutes the jury returned the verdict that Martin was not guilty of wilful murder, but was guilty of manslaughter under great provocation. His Lordship expressed his agreement with this verdict and was in no doubt that it was the correct conclusion. However, as “he could not countenance the notion that people might so lose their tempers under provocation that they could use the knife” Martin was sentenced to twelve months in gaol. Sunday 17th October 1915: Yesterday evening an ambulance train arrived at Bletchley Station carrying wounded soldiers for transport to the hospital at Woburn Abbey. It was met by the Duchess of Bedford, who took personal charge of her nurses and assistants, the Woburn Abbey Red Cross ambulance, and a fleet of twenty other motor cars. Sixty-five of the train’s occupants were sent to Woburn, with the remaining 120 being taken to Northampton. 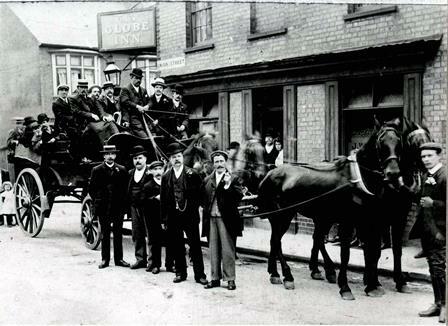 An interested crowd gathered, which was easily persuaded by Police Inspector Callaway and six special constables on duty with him to keep its distance from the motors, allowing the injured men to walk or be helped to the vehicles. Within twenty-five minutes all the cars and the ambulance had left for Woburn. Most of the men, who were casualties of the fighting around Loos and Hill 70, were established in their comfortable quarters at Woburn Abbey little more than twelve hours after receiving their wounds. Sadly, it was not to be. Mrs. King received a letter from a chaplain telling her that her son was at the hospital severely wounded and that “I saw him, and he asked me to write to you. You will, I hope, in a day or two get some good news of him”. This was followed soon after by official notification that Private King had died of his wounds on 23rd September. This bombardment was in preparation for the British offensive at Loos. In addition they had mended and darned socks, repaired shirts, and cut out 1400 circles of net. Their teachers had also collected over £100 towards the war funds. Thursday 14th October 1915: A parish meeting has been held at Toddington to discuss whether street lamps should continue to be lit in view of the threat posed by Zeppelins. Dr. Waugh, chairman of the Parish Council felt that while Toddington itself was not likely to be in danger of German bombs, as it was one of the highest points in the county the lights could serve as a guide to other places. As the rates had already been set and the Council was under contract to the Gas Company a decision not to light the lamps would not lead to a reduction in the amount payable. After some discussion it was decided that the lamps would still be lit, but the tops would be darkened and they would be extinguished at 9 instead of 10. 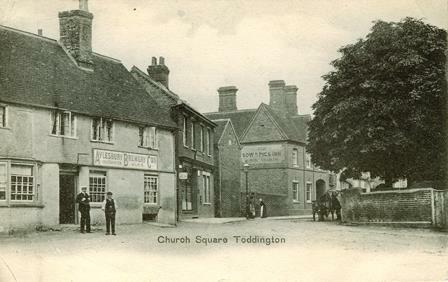 Toddington also now lays claim to its own company of Girl Guides, formed by Miss Ella Neale with Misses Alice Hobbs and Daisy Dunham as her lieutenants. On Saturday the 24 members of the company marched to Toddington Manor where they held a parade in front of the house. New members were enrolled, the Guides saluted the flag and gave a short display of drill. The company were then treated to tea in the manor dining room by Mr Weston Webb. Sources: Leighton Buzzard Observer, 5th October 1915; Luton News, 14th October 1915. Thursday 13th October 1915: After several failed attempts to enlist James Cox of Mill Road, Leighton Buzzard has been accepted into the 3/3rd West Riding Royal Field Artillery, one of the units currently stationed in the town, and has been appointed orderly to Major Nash. Private Cox is a father of twelve; three sons are serving in the British army and his eldest is believed to have enlisted in Australia. Two of his sons were recently wounded taking part in the charge of the 1/5th Bedfords at Gallipoli. One of these, Corporal James Cox, worked as a van man for Messrs. Pillar and Co. before the war; he was well-known in local junior football circles and wore the colours of Leighton Town on a number of occasions. He was hit in the right hand by a bullet and is now at Netley Hospital. Corporal Cox’s brother Charles received a shrapnel wound in the right thigh and is also in hospital. The third soldier brother is Sapper Harry Cox who is training at Ampthill with the new division of the East Anglian Royal Engineers. There are six younger boys in the family who Private Cox believes are all likely to make good soldiers in the future. 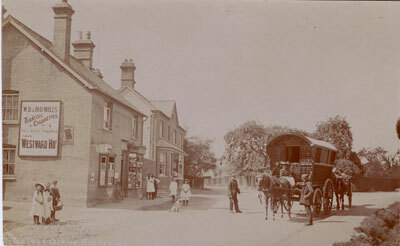 James Cox was married to Margaret Kate, née Gotzheim, the British born daughter of the German landlady of the Crown Public House in Leighton Buzzard. Tuesday 12th October 1915: Major Stevens, the Chairman of the Bedfordshire Territorial Force Association and County Director of the Voluntary Aid Detachments for the county has written to Eastern Command expressing his frustration with confusing and contradictory correspondence he has received, pointing out that “a number of letters addressed to your office on Red Cross work have never been answered, and it makes it most difficult to carry on under these conditions”. It appears that Eastern Command have confused hospitals intended for use only in the event of invasion with others which have been, or still are, in use for sick and wounded soldiers. An example of the difficulties caused by dilatory and inconsistent War Office actions is the “hospital” at Aspley Guise. A private house was fitted up as a hospital ready for occupation by Dr Fowler  at considerable expense. 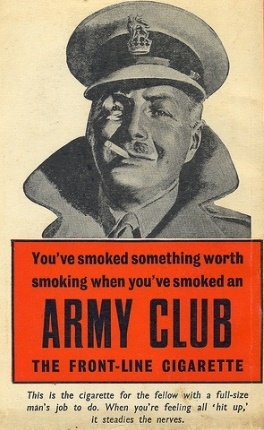 This was offered to the War Office on 14th April. On the 18th April Eastern Command replied to say the offer could not be accepted and that they were unable to issue mobilisation orders for the Voluntary Aid Detachment. After two further letters stating that the place was ready for use and a doctor had placed himself at the hospital’s disposal Eastern Command replied that “The War Office orders are that no more V.A.D. Hospitals are to be taken”. 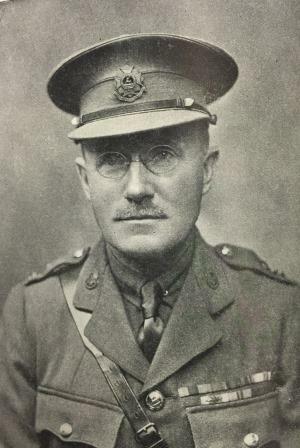 By October Eastern Command appeared to be under the impression that the Aspley Guise hospital was in operation, however Dr Fowler’s offer of the property is no longer open. Understandably Major Stevens is now reluctant to find and staff new hospitals without an assurance that if they are got ready for use he will not subsequently be told they are not required. Monday 11th October 1915: William Thomas Hills, a fruiterer of 72 Russell Street, Bedford, has appeared at the Bedford Sessions today charged with stealing food and other items valued at £7.7s.8d from the Military Stores at 33 Shakespeare Road, or with receiving the goods knowing them to have been stolen. Evidence was heard from Corporal Harry Panter of the 2/2nd Monmouth Regiment who was in charge of the meat and grocery bar at Shakespeare Road, the Regiment’s HQ. On October 5th at 5pm he locked the door of the store room and took the key with him. The next morning he found a door burst open and the lock of the door in the meat store forced off; about 80lbs of bacon, coffee, a carcase of mutton, and two tins of corned beef were missing. When the other store was checked later slippers, razors, cutlery and toothbrushes were missing. Octavius Richardson, a slaughterer of 23 Harpur Street, said that Hills had brought the mutton, a ham and a side of bacon to him on either Wednesday or Thursday morning, claiming to have received them in exchange for bananas and other fruit. Richardson paid him 30 shillings for the meat. He bought the meat – then in “a little better condition” – to eat, not to sell in the shop. P.C. Turvey and Detective Dodd found the slippers, razors, cutlery, a large ham, a small piece of bacon, two tins of corned beef, coffee and milk at Hills’ house and took him into custody. While the policeman was checking the goods Hills said “I don’t want to give you any more trouble than I can help; I am in a hole, and have got to get out of it the best I can”. He pleaded guilty to receiving the goods, saying that they were stolen by three men who brought them to him. It was understood that the military were dealing with someone who was behind the theft. Hills’ defending solicitor said his client had agreed to purchase something, but that the majority of the goods were forced on him and he yielded to temptation. He had lost his wife about 12 months ago and had five children aged from 3 to 18, the youngest child being paralysed. He had previously served in the Northampton Police Force, which he left with a good character. He had worked for many years, saved a little money, and set up in business as a fruiterer. In view of this the Bench decided to fine Hills £10 rather than to send him to prison. 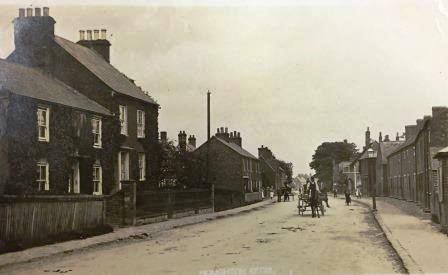 Sunday 10th October 1915: Before the War Herbert Moore of Wootton was employed at Messrs. Forder and Son’s works at Wootton Pillinge. At a recruiting rally held on 7th August last year he was the first of 35 men to step forward and volunteer to join the Forces. After twelve months in training he was sent with the 5th Bedfords to the Dardanelles. Within two or three days of landing he was wounded by a piece of shell which cut through a writing pad in his breast pocket, cut his chest and knocked off his hat. He recovered from this wound but fell ill soon afterwards with dysentery and was taken to hospital on the island of Malta. Tragically his parents, Alfred and Ann Moore of Hall End, Wootton, have now received news that he has died of this illness. 9th October 1915: Yesterday’s inquest into the death of Mrs.Amy Martin ended with the verdict: “The jury find that Amy Martin died from haemorrhage caused by a blow with a knife, inflicted by her husband, Henry Charles Martin, and they consider the case one of wilful murder. We wish to add, however, that we believe the man to have received very great provocation”. Gunner Martin has now appeared at Luton police court and has been committed for trial on the charge of murder at the Beds Assizes later this month. Evidence was given by Martin, his son Charlie, his sister Mrs. Jane Barton, and Amy Martin’s father, Edwin Plummer, to the effect that Mrs. Martin had been “carrying on” with a soldier in the Lincolnshire Regiment. 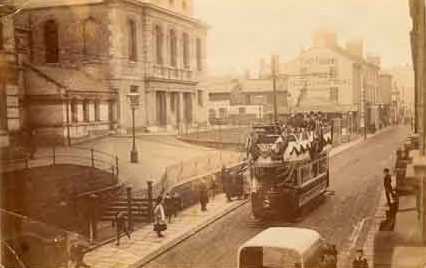 Tom Newbury had been billeted at Blythe Square, Luton with Mr. Plummer. There seems little doubt but that when Mrs. Martin left Barking to stay with her father an affair began between the two, which continued after Mrs. Martin took a house of her own at Queen Square. Young Charlie said that Newbury visited the house very often and “When his mother used to go and lie down in the bedroom after doing her housework Newbury used to go with her”. While at her father’s house Mrs. Martin had been caught in a compromising position with Newbury by her brother; she had admitted sending him cigarettes and handkerchiefs. There was some suggestion that Martin himself had engaged in a dalliance with a girl from Ilford. 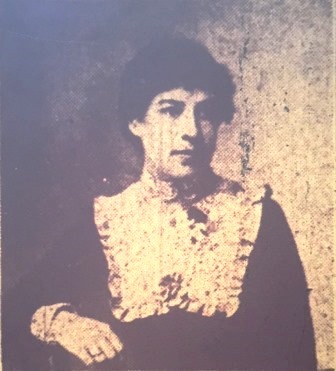 Miss Sarah Annie Hampshire, aged 19, was called as a witness. She described a meeting between herself and a girlfriend and Martin and a companion on Wanstead Flats, following which he asked her to write. Miss Hampshire said she had written to Gunner Martin but received no reply. A few days later she received a letter purporting to be from Martin’s sister saying “My brother … informed me of a young lady he had … I think he thinks a great deal of you, and I hope you do of him”. Evidence was given that this letter was in fact in Mrs. Martin’s handwriting. Martin gave evidence that there had been no trouble in their marriage until his wife met Newbury. 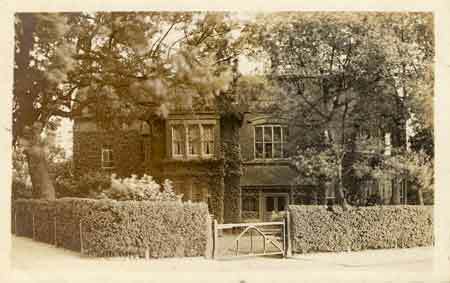 They had visited Blythe Place at Whitsun; he stayed one day but his wife stayed for a week and after her return seemed strange. She admitted giving a missing brooch to a soldier who she eventually named as Tom Newbury. She told him she loved Newbury. He went on his knees and begged her to give him up but she refused. Following this he enlisted in the Royal Garrison Artillery. On the fatal weekend they had argued. He had intended to catch the milk train back to Stratford but did not wake in time. He made some tea with bread and butter for his wife and took it to her, still carrying the knife with which he had cut the bread. When he gave her the tea she said “I wish I could get you to drink one with some poison in it”. She threw his spurs at him, hitting him in the back. He picked up the spurs and walked round the bed. Thinking she was going to throw the cup at him he hit her with the knife still in his hand. He denied intending to stick it into her. Dr. Bell of the Bute Hospital had examined the wound after Mrs. Martin’s death and stated that it could have been made by the knife produced with very little force and was a stab wound rather than a cut. There is no doubt that however she may have behaved towards her husband and with Tom Newbury, Mrs. Martin was an attentive mother and a good housekeeper. Her son Charlie told the court that “Father was a good father, and mother was a good mother to us”, and her house was spotless. Saturday 9th October – Meet in Clubroom at 2pm. 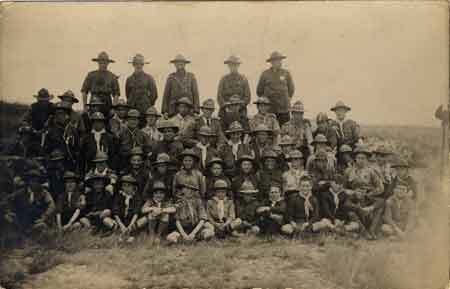 Patrol uniform and staff tests for badges. Tuesday October 12th – Junior Patrols 7.15pm. Band practice 8.15pm. Thursday October 14th – Troop meeting 7.15pm. All applications for Badges and Service Stars are to be sent in on Tuesday. Orderlies – H. Wright and E. Bunce. Any boys wishing to join the Scouts are requested to send in their names to the Scoutmaster or Patrol Leaders. 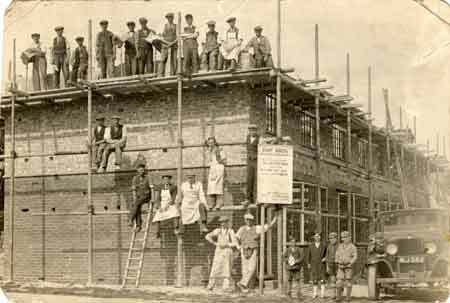 Thursday 7th October 1915: The carpenters and joiners of Luton demand for an increase in pay of ½d per hour has been refused by the Luton Master Builders’ Association. Following a meeting of the Association on 23rd September they were informed that “no advance in wages could be given by those members engaged on building operations of the ordinary nature. Building and munitions now in hand for the Government are upon another basis”. After listening to a number of speakers in favour of the resolution it was passed unaminously. An appeal was also made to non-unionists to join the Union and stand with it in this struggle. Wednesday 6th October 1915: A travelling musician has been remanded in custody at a special police court held in Leighton Buzzard. 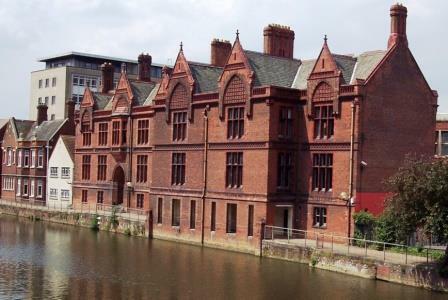 The court heard that Frederick Roberts had failed to provide information to a lodging house keeper as required by the Aliens Restriction Amendment Order, 1915. On Friday 1st October Roberts came to lodge at the house kept by Mrs. Mary Ellis at 45 Lake Street. On the following Monday she gave him a form to complete but he said he could not do so because his hand was shaky. Later in the day she asked him again to fill in the form but he did not do so. He gave her no reason for failing to complete the form. When asked if Roberts had told her he couldn’t write, she said he had not. He had, however, behaved himself well while he was at her house.